Tori James on yet another adventure. 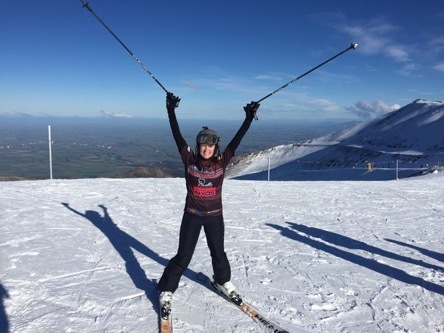 This time she has taken the 2016 NYDS shirt to Mount Hutt, New Zealand. This is surely the furthest the NYDS has ever travelled! Swimmers warming up for NYDS 2016 with a bike ride ! With only a few days to go until the 32nd Saundersfoot New Year's Swim, some of the swimmers have been gearing themselves up with a bike ride, sporting their new NYDS cycling shirts. Given the increasing popularity of the sport in the locality cycling shirts seemed an obvious addition to this year's charity shirt range. 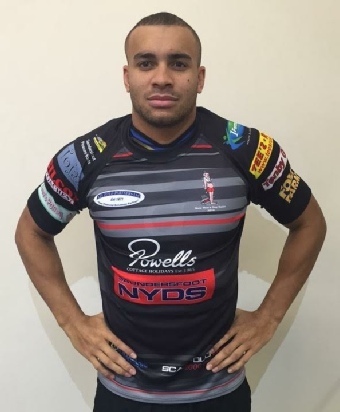 Who is wearing the nyds shirt this week ? 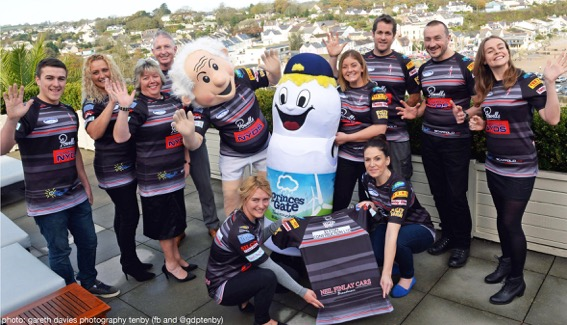 With the Saundersfoot New Year's Day Swim only a few days away, another celebrity has taken time out of their busy schedule to wear the infamous swim rugby shirt. 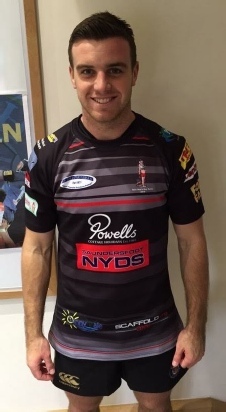 But who is wearing the NYDS 2016 shirt this week ? Clue: A funnyman who is not shy from testing out alternative careers! Click on the picture to see if you were right ! 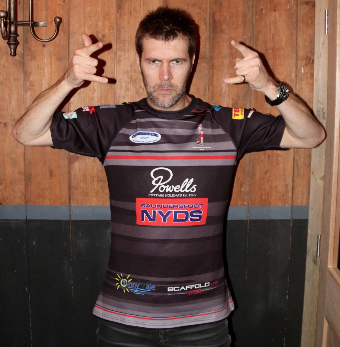 Yes, it was Rhod Gilbert wearing the NYDS 2016 shirt. 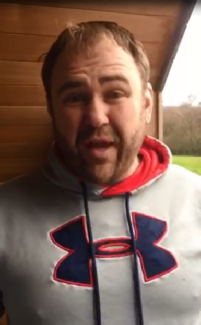 This is the second time the Welsh comedian has worn the shirt. Thank you to the Tallis Amos Group TAG (Narberth) for the loan of this quad for the New Year's Day Swim - thanks guys! - 9 days to go! 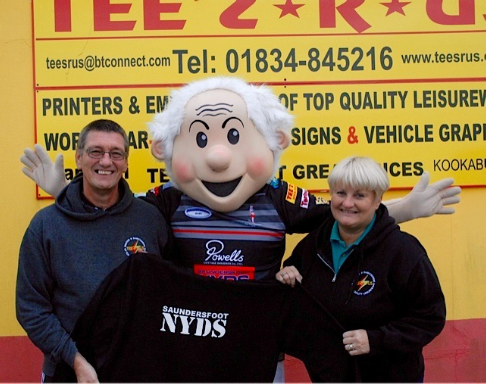 As the build up to the 2016 Saundersfoot New Year’s Day Swim gathers pace, Charlie Shivers was on hand to meet up with one of the swim’s sponsors, N.D. Toy & Partners Ltd. The 2016 NYDS marks the seven-year association between the two. 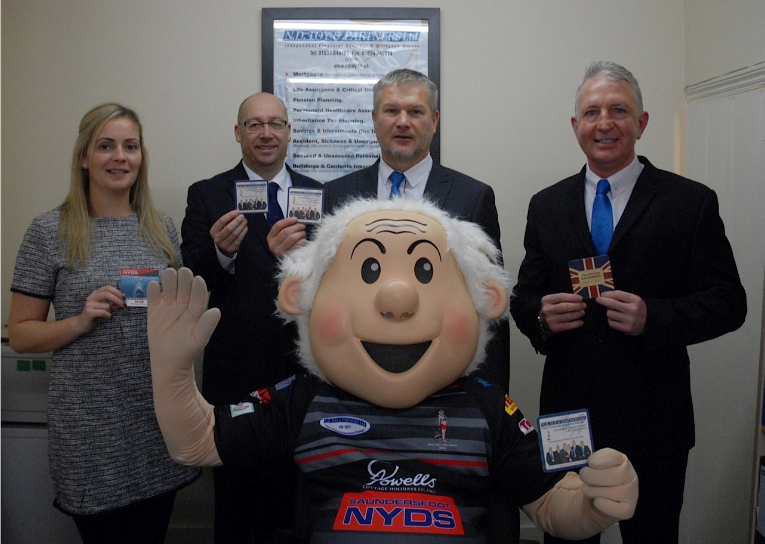 As well a regular shirt sponsor, N.D. Toy & Partner Ltd is again sponsoring the 2016 NYDS beer mats, which will be distributed amongst the bars and restaurants within the village. Martyn Williams, Chairman of the swim said, “One of the reasons why the swim has become so successful is due to the sponsorship we have from local businesses. It ensures that we have a budget to promote the swim as well as pay for the event itself. This way all the money raised by swimmers will be donated to charitable and worthy causes. 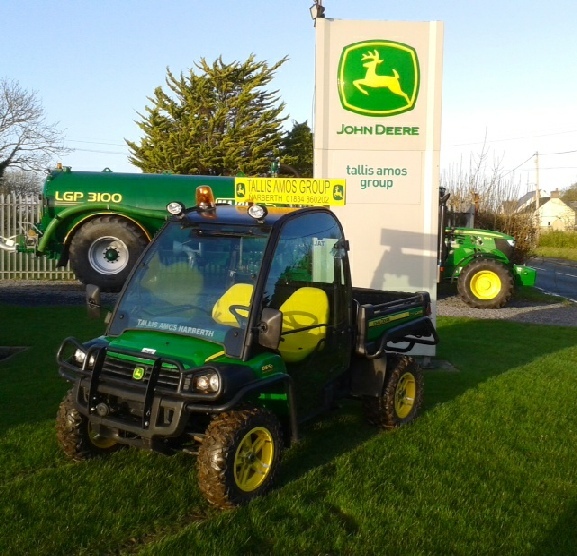 We are delighted to continue our partnership with N.D. Toy & Partners Ltd”. Chris Brace, one of the directors at Independent Financial Advice firm stated, "Our business is a local Pembrokeshire based firm so we will always support local charities and charity events. We feel that it is important that local businesses give something back to their local community and the New Years Day Swim is a fine example of the community coming together to have fun and raise money for charity. We are delighted to be one of the many sponsors on the Saundersfoot New Years Day Swim shirts and also to be the main sponsor of the beer mats for the 4th year running and on a whole to be involved and associated with such a great, well organised event”. 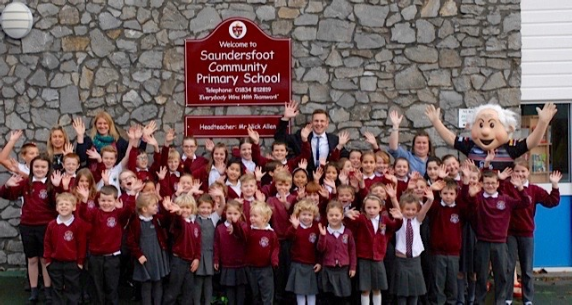 This week, Charlie Shivers visited Saundersfoot School and announced the winner of the NYDS 2016 competition. Pupils at the school had been given a picture of Nigel Owens and Charlie Shivers and were asked to come up with a catchy caption of what Nigel was saying to Charlie. There were many entertaining entries, including “another dive like that and I’ll have you wearing slippers” and “don’t just buy nyds shirt, earn it ! get sponsored and swim”. Mr Allen also put his own idea forward, "listen hear now charles, if you don’t like swimming you’re in the wrong place, the caribbean is that way !”. However, the winner was, “this is not soccer, it’s a swim, now get on with it !”. The winning entry has been added to the artwork and is already on the rear of a Silcox bus which is travelling the county. The artwork is also on a billboard which is displayed in the village. We are also grateful to Silcox Coaches for their continued support, this method of advertising literally reaches all part of Pembrokeshire”. On your marks, get wet, go ! Final preparations were underway this week as the build up to the most anticipated race of the season is only days away! In testing training conditions the mascots from across the county and beyond completed their wet weather training on Saundersfoot beach. 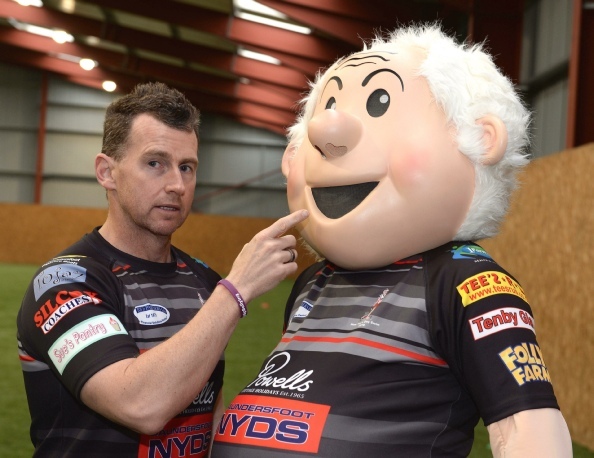 Charlie Shivers and his fellow competitors will battle it out on New Year’s Day for the much sort after title of being ‘ Top NYDS Mascot 2016’. 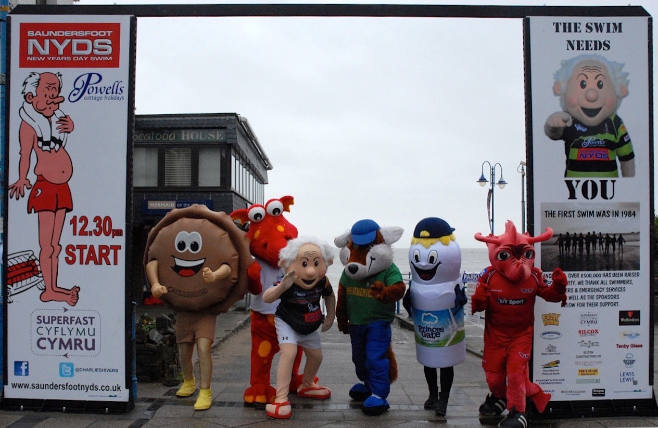 The mascot race will start at 12pm, with the swim starting at 12.30pm. Nigel & charlie on tour in pembrokeshire ! 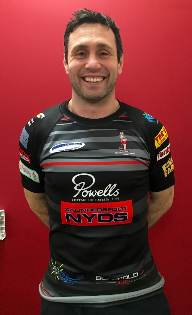 Nyds shirt on tour ! Rachel Taylor has again been on tour again with a Saundersfoot NYDS shirt. 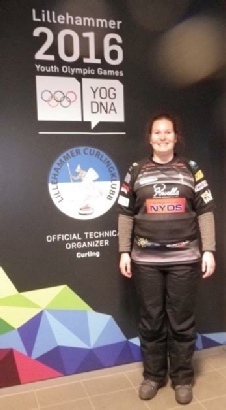 This time she visited Lillehammer, Norway for the Youth Olympic Games. 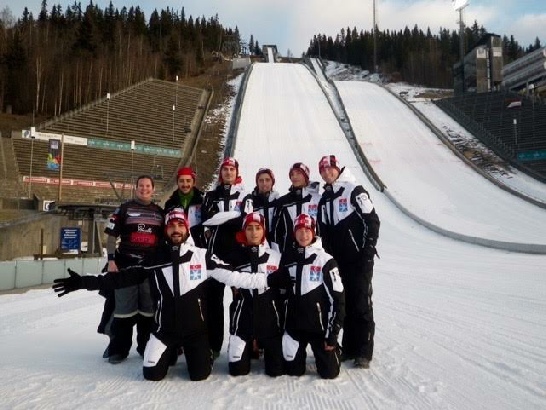 Lillehammer was also the host venue for the 1994 Winter Olympics. Pictured with Rachel are members of the Turkish bobsleigh team. Mark Brace and his son Jordan will be taking part in the 2016 Saundersfoot New Year's Day Swim raising money for Wales Air Ambulance. 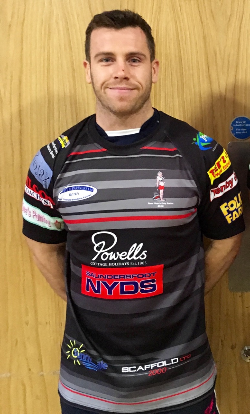 Mark suffered a punctured lung last year whilst playing rugby. Due to his condition, the Air Ambulance was called and subsequently conveyed him to Withybush Hospital. Since then Mark has been determined to show his gratitude and has chosen the festive dip to raise money. Mark said, "I always wanted a trip in a helicopter, but didn't want it in those circumstances. The Air Ambulance was there for me, now it's my turn for me to be there for them". Who is wearing the nyds shirt now ? Mark Brace and Charlie Shivers. 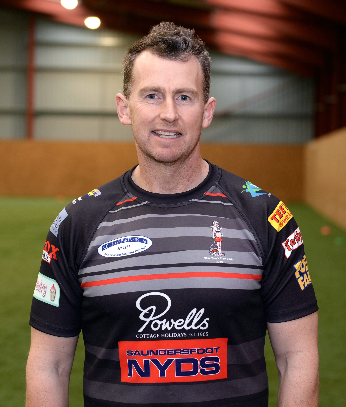 Nigel Owens will be fronting NYDS 2016 advertising campaign ! The photo on the left will be used as part of the overall artwork. The finished product will be seen on posters, a Silcox bus and on a billboard within the village. However, we need a caption, what is Nigel saying to Charlie Shivers - over to the pupils of Saundersfoot School ! The school will be handing out details of the competition soon. Clue: this man whistles while he works and is deemed the best in the world at what he does? 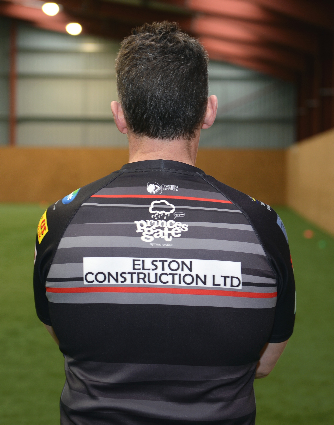 Answer: yes, it's Nigel Owens, the worlds best rugby referee! As with tradition, the NYDS rugby shirt has been on its travels and found two sporting stars who were more than willing to wear the 2016 edition, but can you guess who they are? Clue: These two famous sporting stars play for the same club and country. One has the surname of a famous car brand, the other of a very famous shepherd! Who are they? Were you right, yes it was Bath and England internationals George Ford and Jonathan Joseph. Charlie Shivers was on duty again this week, this time meeting the family of Daniel Bridle who sadly lost his fight against bone cancer in 2014, aged just 18. On behalf of Saundersfoot New Year’s Day Swim and Tees R Us, Charlie donated 100 T-shirts which will be sold off and all money raised will be donated to Bone Cancer Research Trust in memory of Daniel. Primary bone cancer mainly affects teenagers and young adults, with little progress in survival rates over the past 20 years. 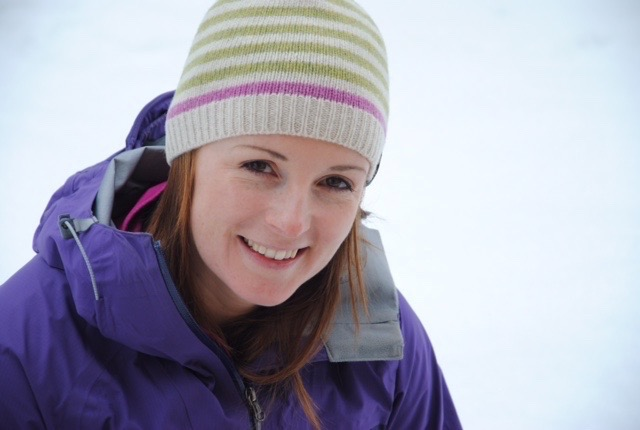 The BCRT funds vital research into the disease and the development of more effective treatments. Each t-shirt displays the Bone Cancer Research Trust logo with the message ‘Swim for Daniel’. 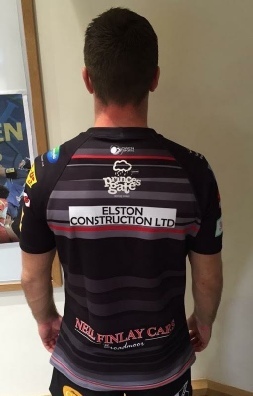 Sales of the t-shirt have already raised £1000. Once the 100 have been sold, further t-shirts can be bought at Tees R Us. Martyn Williams, Chairman of the swim, said, ‘We are delighted to be making this donation. Hopefully the money raised will go someway is trying help the continued research into this disease and hopefully find a cure’. Richard, Caroline, Lewis and Nicole would like to thank friends, family, NYDS and the local community and staff at Tesco for their continued support. Anyone wishing to do the swim for Daniel, please print a sponsor form below or pick one up from Elements of Pembrokeshire in Saundersfoot. 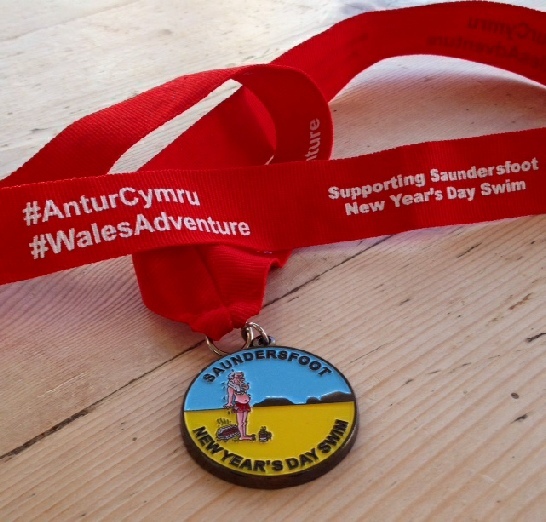 With only 4 weeks to go until the 32nd Saundersfoot New Year's Day Swim, Charlie Shivers was on his travels again this week. This time he was treading the boards at the Regency Hall, visiting Saundersfoot Footlights, who were busy preparing for their latest show Alice in Wonderland. A number of cast members have signed up for NYDS 2016. Despite his persistence they resisted offering Charlie a cameo role for the festive pantomime. Lights, camera, nyds action ! 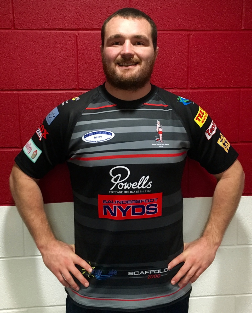 Check out the scarlets lads sporting the 2016 nyds shirt ! With less than 40 days to go until the 2016 Saundersfoot New Year's Day Swim, Charlie Shivers made a made visit to Saundersfoot CP School this week to see how preparations were going. As you can see, the children and staff are already excited. Charlie had it on good authority that the 2016 costumes will be their best yet. The school have been great participants over the years and always add colour and enthusiasm to the event. This year they will have a new swimmer amongst their ranks - Mr Allen who will be making his swim debut! 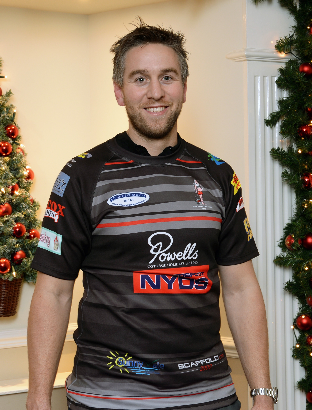 Who is wearing the 2016 nyds shirt this week ? Clue: This west Walian starlet shot to fame in the autumn and may have cost Mr Lancaster his job? Yes it was Gareth Davies, the Wales and Scarlet scrum-half who had an outstanding World Cup and scored the winning try against England (just in case you forgot!). 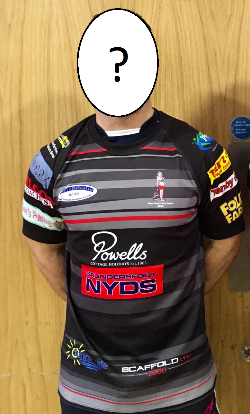 As with tradition, the NYDS rugby shirt has been on its travels and found a sporting star who was more than willing to wear the 2016 edition, but can you guess who it is? Martyn Williams, Chairman of Saundersfoot Festivities said, ‘The swim is an important date in the calendar for the village. 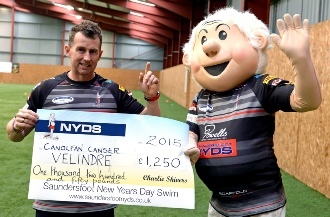 The NYDS shirt has become an integral part of promoting the swim. I am delighted with this year’s sponsorship. The financial support is vital for the future of the swim. It will also ensure that every penny raised by the swimmers will be allocated to their nominated charities. 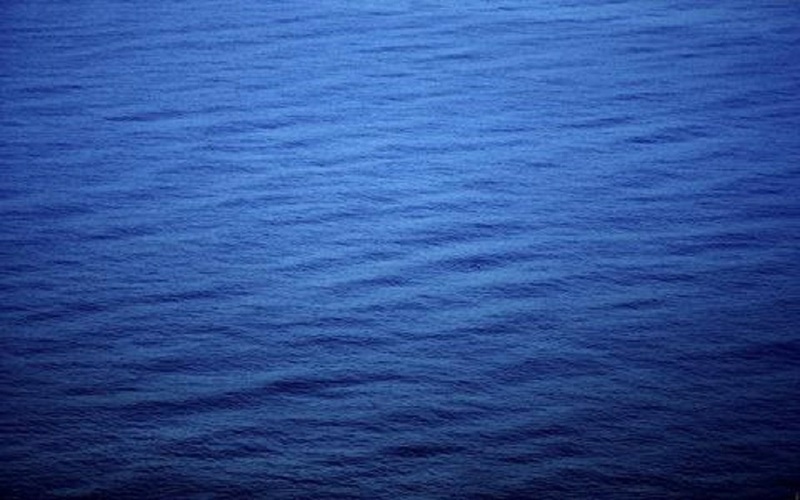 The generosity which the businesses have shown towards the sponsorship of the swim has been very much appreciated’. Saundersfoot Festivities would like to thank St. Brides Hotel & Spa once again for their generous hospitality, as well as Gareth Davies Photography. 2016 Swim Sponsors: Powells Cottage Holidays, N.D. Toy & Partners Independent Financial Advisors & Mortgage Brokers, Scaffold 2000, Sunnyvale Holiday Park, Tees R Us, Tojaz of Saundersfoot, Princes Gate Spring Water, Elston Construction, Folly Farm, Silcox Coaches, Sue’s Pantry, Saundersfoot Pleasure Boats, 1 Formula Fitness, Tenby Glass and Neil Finlay Cars. The 2016 swim will take place at 12.30pm on the 1st january 2016 on saundersfoot beach. There will be music leading up to the start so please make sure you are in place and ready on the beach in plenty of time. More details of what is happening on the day will be posted here soon so watch this space ! The launch of the 2016 Saundersfoot New Year's Day Swim took place at the St. Brides Spa Hotel this week. 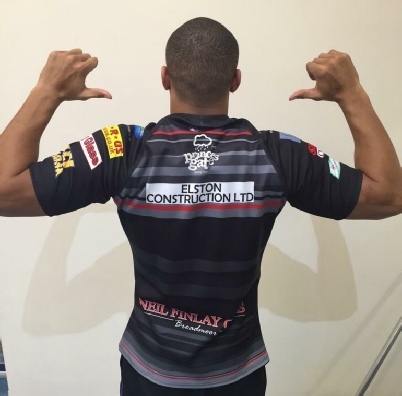 During the event, the 2016 shirt was also unveiled and Charlie Shivers was there to welcome this year’s sponsors. The 2016 swim will be the village’s 32nd and over recent years the swim has gone from strength to strength raising thousands and thousands of pounds for charitable and worthy causes. Last year attracted over 1500 swimmers raising over £40,000. Nyds hoodies are back ! As the preparations for the Saundersfoot New Year’s Day Swim continue to gather pace, swim organisers have again teamed up with Tees R Us to produce a NYDS 2016 hoodie. The hoodies were first introduced a few years ago and were extremely popular. The hoodies are now available at Tees R Us, New Hedges for £25. Children sizes are available. All enquiries to be made to Tees R Us. Pictured left is Charlie Shivers with Dean and Mandy from Tees R Us unveiling the new hoodie. 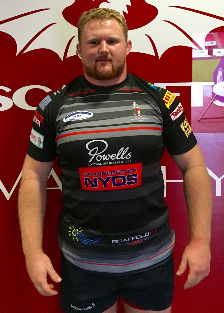 2016 Nyds shirt on tour ! With the Saundersfoot New Year's Day Swim only a few weeks away, one loyal swimmer has been on his travels and took time out of his schedule to parade the 2016 NYDS shirt in front of the most famous house in the world. 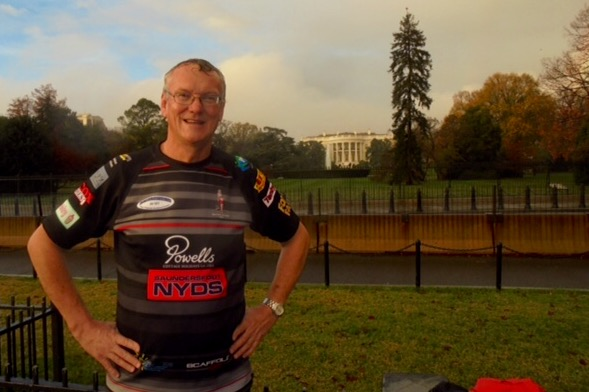 Colin Taylor was in Washington DC last week and is seen proudly wearing his NYDS shirt outside the White House. Colin has been a regular participant of the swim for many years, making and the trip each year from his home in Hereford to enter the icy waters with his wife Kath and daughter Rachel. If you are interested in entering the swim, then please print off a sponsor form below or alternatively collect from Elements of Pembrokeshire, The Strand, Saundersfoot. 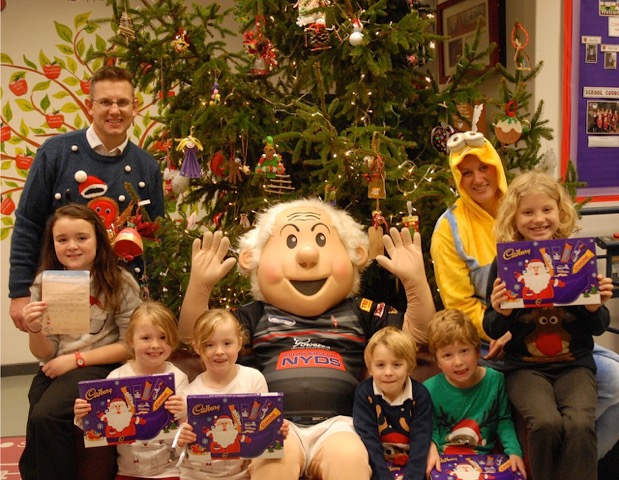 Charlie Shivers and his friends at Green Bower Mini have teamed up to give you the chance to win MINI themed prizes in the NYDS Christmas Selfie competition. 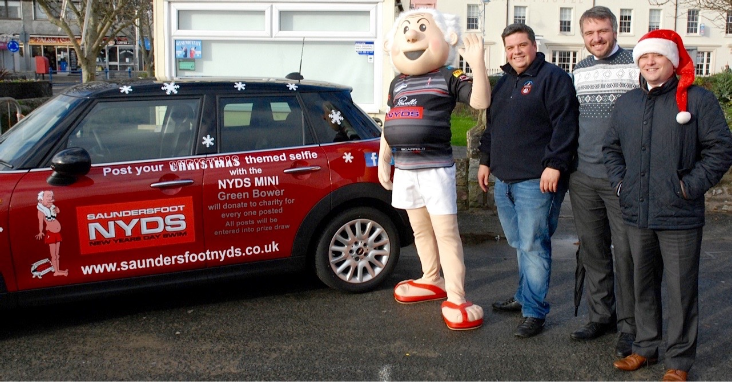 Take a trip down to Saundersfoot Harbour over the festive period where the NYDS Mini will be until January. To enter, just take a Christmas themed selfie with the MINI and post it to Charlie Shivers’ or Green Bowers MINI’s Facebook pages and you will be in the with a chance of winning MINI themed prizes when the best 5 selfies are chosen in January. Martyn Williams, Chairman of NYDS said, “We are delighted to have teamed up with Green Bower MINI. Green Bower has been part of the local community for over 30 years, the same amount of time as the swim. The car looks fantastic and has already created a lot of interest around the village. Hopefully we will see some great pictures during the next month”. 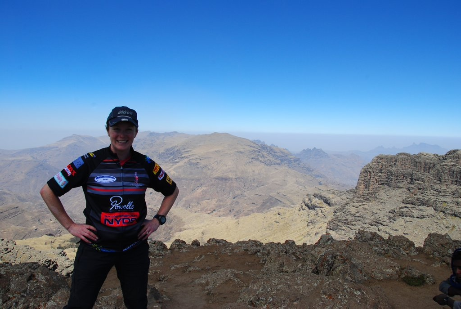 Tori on Summit Ras Dashen (20 Feb 2016) with the Saundersfoot New Year's Day Swim shirt. Where will it travel next @CharlieShivers? 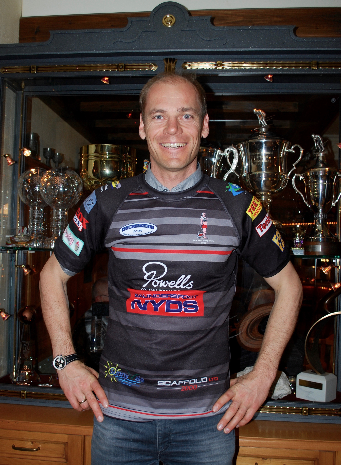 Michael Walchohofer is the latest sporting star to wear the Saundersfoot New Year’s Day swim shirt. Walchhofer is one of the great Austrian downhill skiers whose glittering career led him to wins at infamous courses such as Kitzbuhel, Wengen, Garmisch and Val d’sere. He started his career in slalom, but then moved over to the speed events of Super G and downhill. During his career he won the World Cup season title in downhill three times, an olympic silver medal, and one gold, two silvers, and a bronze medal at world championships. Walchofer became the first to win the Bormio downhill three times in December 2010. His last World Cup race was in March 2011. Walchhofer has been a longtime owner a chain of slopeside luxury hotels in Zauchensee, Austria.